Mercedes-AMG is plotting an all-out assault on the Audi RS3. If only it was coming to America. America will sadly , which has proven to be one of the most formidable hot hatchbacks in Europe. To make us even more envious, a report by has now confirmed that the second-generation 2019 model will be so extreme that company insiders are dubbing it as the ‘Predator.’ Following rumors, AMG boss Tobias confirmed that the new A45 will pack over 400 horsepower in an all-out assault against the Audi RS3. Like the current A45, the new model won’t be adopting a hybrid setup contrary to previous reports. "It's going to be the next step in every perspective, including driving dynamics," Moers told . Insiders also told that the new A45 will benefit from an extra 20lb ft bringing the torque up to at least 369 lb-ft resulting in a 0-62 mph sprint time of less than four seconds. We’ve seen prototypes of the new A45 in spy shots in recent months, but the , so powertrain development must be at an advanced stage. 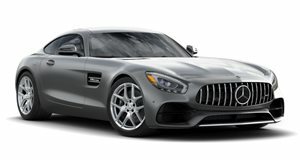 The latest prototype also wears Mercedes’ signature Panamericana front grille to mimic the aggressive AMG GT R.
It’s a clear sign of Mercedes-AMG responding to increasing competition in the German hot hatch segment to rival the Audi RS3 and upcoming BMW M2 CSL. Before the A45 hits the road in 2019, Mercedes-AMG will launch a softer A35 model according to Moers to compete with the Ford Focus RS and Volkswagen Golf R. According to insiders, it could adopt either the A32 4Matic or A36 4Matic name, and is expected to utilize a modified version of the M260 engine developing over 300 hp.